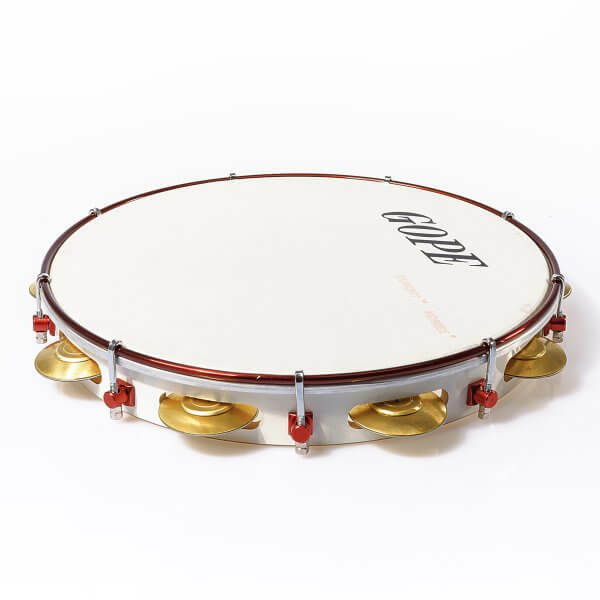 12" pandeiro for Samba Pagode - show size for big time sound! The family-size pizza amongst the pandeiro sizes! 12" pandeiros had quite a rare appearance lately, possibly due to their size and weight. More compact competition like 10" and 11" sizes had gained popularity, however, volume, sound and show effect of 12" pandeiros are hard to top. The oldschool biggies have now re-appeared and you will see them quite frequently in Rodas de Samba or at stage performances where the pandeiro player has added a 12" size to his pandeiro selection. Show effect and richer sounds are en vogue, time to let your pandeiro muscles know! This line by Gope uses a white formica frame and cherry-coloured metallic hardware. The pandeiro has a special head with a material combination of nylon with a haptical laminate by Dupont Nomex which reduced overtones and crispy slaps. Pandeiros with synthetic heads tend to be heavier as they are tuned higher and have to compensate the tension through the frame. GOPE is a family-run business from the area around São Paulo. Today the company is being run in its third generation by the grand daughter of the firm´s founder. 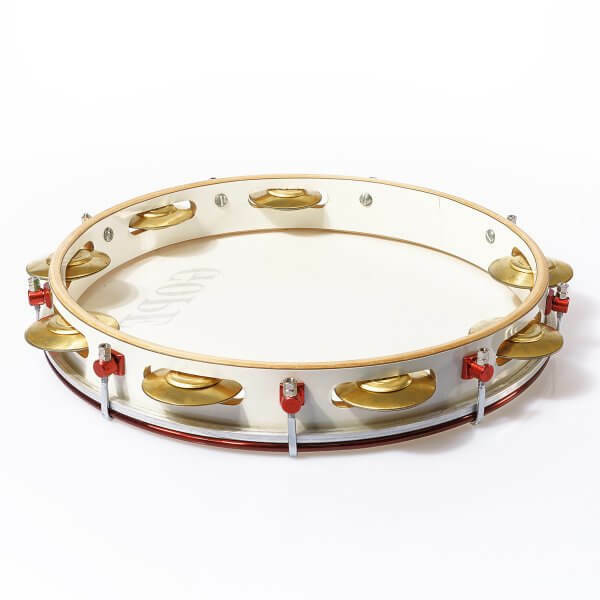 The brand GOPE has been producing drums and smallpercussion instruments for over 50 years now. 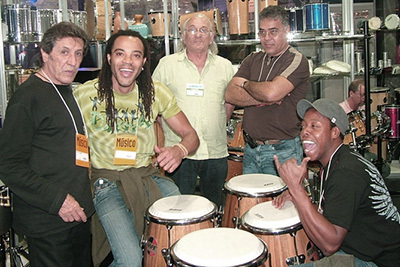 When the company was founded, there was already a small workshop in which drumsets were manufactured. 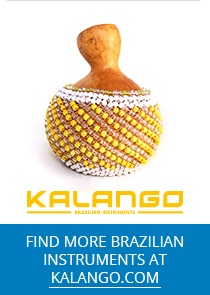 In 1962, the production of the typical Samba instruments began, iniciated by Humberto Rodella, the son of the founder. The company kept growing and after several relocations in São Paulo, GOPE finally found the right place for building a large production hall in Embu Guaçu, a suburb of São Paulo. 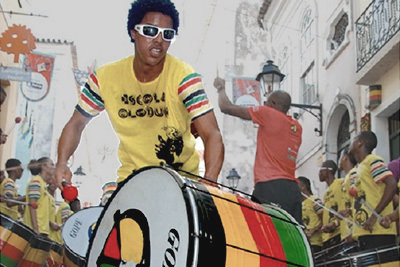 Since then GOPE produces in Embu Guaçu everything from the Agogô to the Zabumba, a wide range of percussion instruments, and only recently also various wind instruments. GOPE has always kept in close touch with the musicians. The ideas and proposals for modifications that they received from many of those contacts, have always had much influence in the development of new instruments and improvement of production.